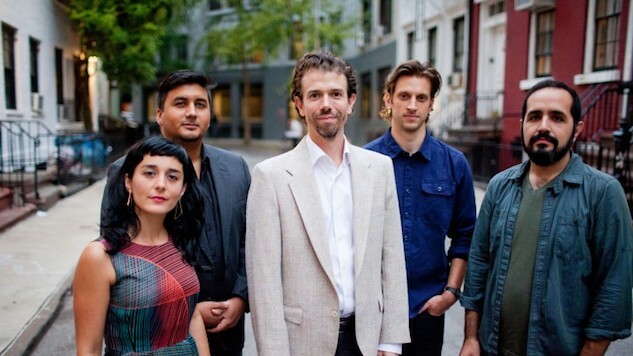 If you’re a fan of jazz music that will be in New York City this evening, you’d do well to get yourself to Jazz Standard tonight to hear the music of Ryan Keberle & Catharsis. This fantastic quintet, led by trombonist Keberle, has been the talk of the scene for the past few years on the strength of their unapologetically emotional albums and their embrace of everything from jagged experimentalism to pure Latin grooves. Just as many artists of their ilk, Keberle and his band—vocalist Camila Meza, drummer Eric Doob, trumpeter Mike Rodriguez, and bassist Jorge Roeder—were left reeling by the results of the 2016 election and responded with music that reflected their fear and anger, as well as the slivers of hope they were grasping onto. The album that came out of them, Find The Common, Shine A Light, is a powerful work that brings in new interpretations of popular song as well as originals that breathe and seethe on our behalf. One of the most impactful statements on the record is Keberle’s arrangement of the peerless protest anthem “The Times They Are A-Changin’” that brings out the gentle beauty of Dylan’s words and melody. Of this song, the trombonist says, “The real history of this country, especially for those less fortunate, is an ugly one. Yet, in 2016, rather than striving to move forward, building on real momentum of the past eight years, 50 million Americans chose to move unarguably backwards. Forward progress is such a simple thing to attain when you boil things down. It’s about one thing – compassion for others and this song looks to make that point.” Those feelings are mirrored in this fantastic video for this song (directed by Claudia Bitran) that we are thrilled to premiere for today’s Daily Dose.